Grumman's S-2 Tracker was the first purpose-built carrier-based anti-submarine warfare (ASW) aircraft in the world. Previous carrier-based ASW aircraft included the TBF Avenger (converted torpedo aircraft) and the AF Guardian which took two aircraft to perform the ASW mission - one with the sensors (hunter) and the other with the weapons (killer). Both of these types were also Grumman designs and based upon operational experience, the S-2 was built around the latest suite of ASW sensors includng radar, sonobouys, and a retractable magnetic anomaly detector (MAD) boom. Powered by a pair of 1500 horsepower Wright Cyclone engines, this aircraft could loft 4800 pounds of weapons in its weapons bay and under the six hardpoints under the wings, and operate quite effectively from the Essex-class aircraft carriers in service at that time. Under the original USN aircraft designation system, this aircraft was designated S2F (routinely pronounced STOOF (S-two-F)) until 1962, when all US military aircraft were placed under a common designation system and S2F became S-2. Prior to 1962, different variants were designated by a dash number such as S2F-1 which later became S-2A. The S-2D (formerly S2F-3), S-2E (formerly S2F-3S), and S-2G were all based upon an enlarged airframe. The S-2 airframe was not only a very effective ASW platform for the US Navy, it was also adopted by the air arms of Argentina, Australia, Brazil, Canada, Japan, the Netherlands, Peru, Taiwan, Turkey, and Uruguay. In addition to ASW, the S-2 airframe was modified to serve other special missions such as the E-1 Tracer (early AWACS), C-1 Trader carrier onboard delivery (COD), RS-2 photo reconnaissance, and WF-2 weather observer. 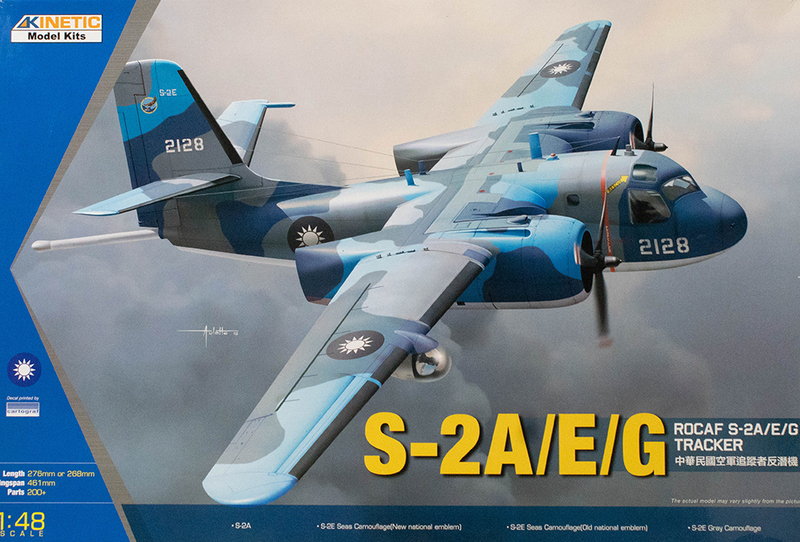 Even after a long and distinguished military career, the S-2 was also highly sought after as a fire bomber and fought fires in the US, Canada, France, and the Netherlands. 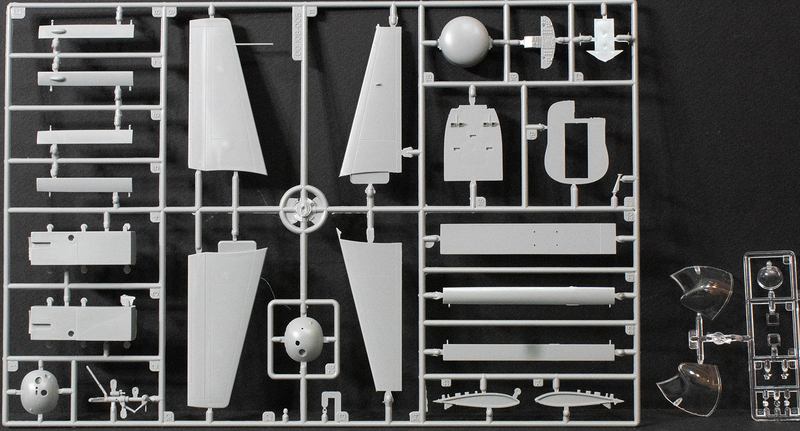 Kinetic has released this S-2 Tracker kit with options for the S-2A, S-2E, and S-2G in Republic of China service. You'll remembre that this kit was first released in 2011, and our own Fotios Rouch did the build review here. While that first release covered the S-2E and S-2G in US Navy service, the kit did have one issue that has been corrected in this release. The first S-2 kit was the long-fuselaged variant with the nose and longer wings of the later Trackers. This was followed two years later with the short-fuselaged S-2A with the requisite wings. 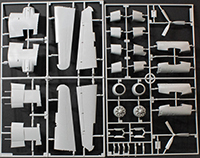 This release provides provides both sets of fuselages and wings to render your choice of variants in one box. No further updates were addressed as outlined in Fotios' review, such as search light reflector, exhaust stacks, corrected cockpit details, etc. Even so, these are all minor details that are easily fixed with some scratchbuilding or aftermarket details (or both). As with previous releases, Kinetic doesn't waste resources putting details where you won't see them. The flight deck is nice yet simple in its layout given that you can't see much fine detail through the bubble windows. If you choose to pose the crew entry door open, there isn't anything inside the main crew compartment so you'll have to fabricate part of an interior on your own. 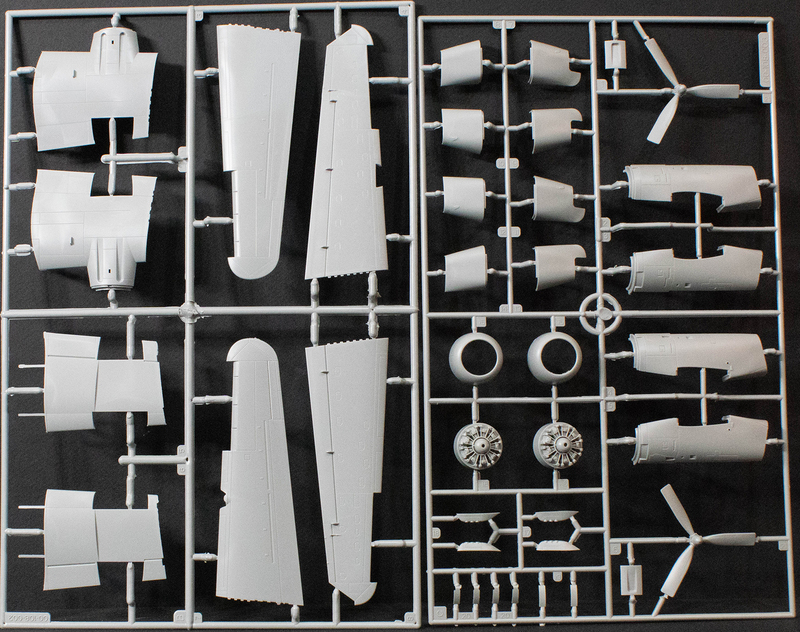 What's nice about this kit is that the STOOF isn't a big aircraft considering it holds a crew of four, but with those wings extended, it will take up some shelf space. 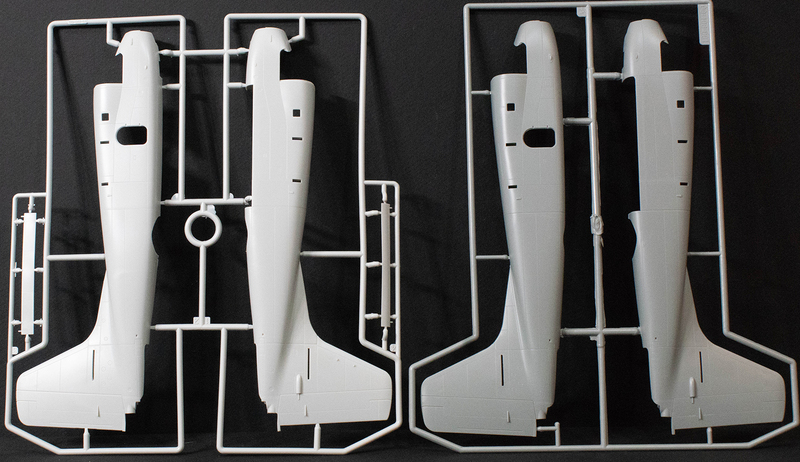 Kinetic did well by providing a wing fold option so you can properly stow this aircraft on your shelf using little space and showing off some nice detail. 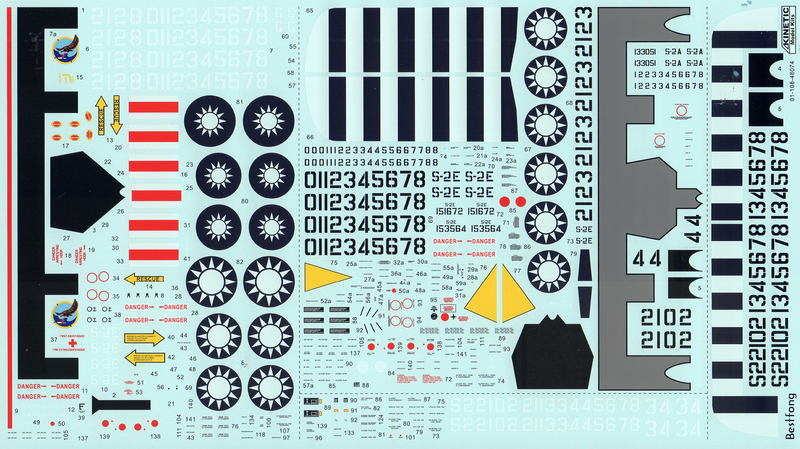 The decal sheet was produced for Kinetic by Bestfong Decals and this set provides walkways, propeller warning stripes, and airframe stencils. While the decals in this release cover the RoCAF, you can use aftermarket decals to render the STOOF in whichever version/service that interests you. Kudos to Kinetic for bringing the short and long STOOFs into the same box!